S. Photo. Set: R.- Global Strike For Future- 19.03.15 Fri. This photo. set is of the rally preceding the Global Strike For Future climate march on Friday, 15 March, 2019 in downtown Atlanta, GA at the Georgia World Congress Center during the Climate Reality Leadership Corps Climate Reality Leader training Atlanta- 2019. To enlarge any photograph, simply click on the image. Event: Conf.- Training- Climate Reality Leader Org. : Climate Reality Leadership Corp. Date: ’19 Mar. 16 Sat. 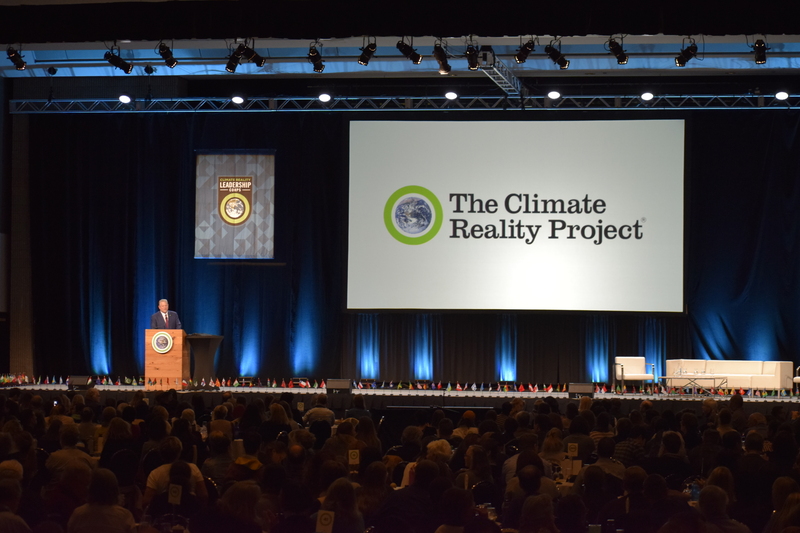 Location: Georgia World Congress Center- Atlanta, GA Video: 02- Al Gore- End Of Training Description: Al Gore, founder of the Climate Reality Project, addresses the new graduates of the Atlanta- 2019 Climate Reality Leader training about what to do about the current President and what to do as the training ends in an inspiring farewell. Time: 01:35 Copyright (C) 2019 Mark Skogman All rights reserved. A. Radio Program- Webcast- Spectrum 360: 19.09- ’19 Mar. 04 Mon. Radio Program- Webcast- Spectrum 360: 19.09- ’19 Mar. 04 Mon. The focus of this program is politics, a church and a conference! This program’s featured segments: the Spectrum 360 Special Report on the United Methodist Church and the church’s recent decision on gay marriage and the reaction of local Allendale U. M. C. Pastor Andy Oliver with co- host T. K. Weeks and The Spectrum 360 Report from the Cltizen’s Climate Lobby- FL State Conference with the lecture by Dr. Andrea Dutton on climate change and sea level rise. V. Int.- Demo.- Rob Lorei Firing- 19.02.24 Su. This video was recorded on Sunday 24 February, 2019 at the radio station WMNF- FM (88.5FM) at 1210 E. Martin Luther King Blvd. in Tampa, FL. Rob Lorei, WMNF co- founder, 40 year employee of and Director Of News And Public Affairs at WMNF was fired by Station Manager Craig Kopp on Monday, 18 February, 2019 and given 15 minutes to leave the building. This set off a lot of surprise and outrage in the WMNF listener and supporter community and the Tampa Bay area generally. A demonstration was organized to support the re- hiring and return of Rob Lorie to his position at the radio station and demonstrators came to the station for approximately one and a half hours in hot Florida weather to demonstrate for Rob Lorei and his re- hiring at the station. This video is the interview of the demonstrators attending this pro- Rob Lorei event. S. Still Photo. Set: Demo.- Rob Lorei Firing- 19.02.24 Sun. This still photo set was photographed on Sunday 24 February, 2019 at the radio station WMNF- FM (88.5FM) at 1210 E. Martin Luther King Blvd. in Tampa, FL. Rob Lorei, WMNF co- founder, 40 year employee of and Director Of News And Public Affairs at WMNF was fired by Station Manager Craig Kopp on Monday, 18 February, 2019 and given 15 minutes to leave the building. This set off a lot of surprise and outrage in the WMNF listener and supporter community and the Tampa Bay area generally. A demonstration was organized to support the re- hiring and return of Rob Lorie to his position at the radio station and demonstrators came to the station for approximately one and a half hours in hot Florida weather to demonstrate for Rob Lorei and his re- hiring at the station. A. Radio Program- Webcast- Spectrum 360: 19.07- ’19 Feb. 18 Mon.